Qatari Emir Tamim bin Hamad Al Thani has abruptly left the opening session of the 30th Arab League summit in Tunisia without delivering his welcoming remarks, Qatar News Agency reported. 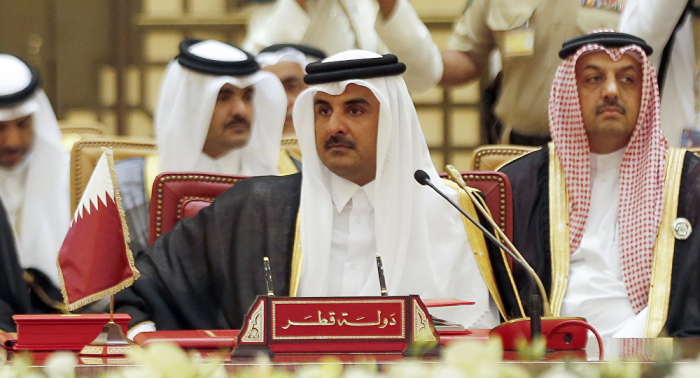 Qatari Emir Tamim bin Hamad Al Thani unexpectedly left the summit after the opening session and headed for the airport, the Qatar News Agency reported without specifying the reasons for such a move. However, he sent a message to Tunisian President Beji Caid Essebsi, thanking the leader for the country's hospitality, the report by the media outlet says. ​Earlier in the day, the news agency reported that the emir was attending the opening session together with the Qatari delegation and a number of heads of international and regional organizations. ​A number of countries, including such Arab nations as Saudi Arabia and the United Arab Emirates, severed diplomatic ties with Doha in 2017, after accusing Qatar of supporting terrorism. Qatari officials regretted the neighbours' move, insisting that their decision was based on false allegations.